840 Cool White Gives a more clinical or “high tech” feel. 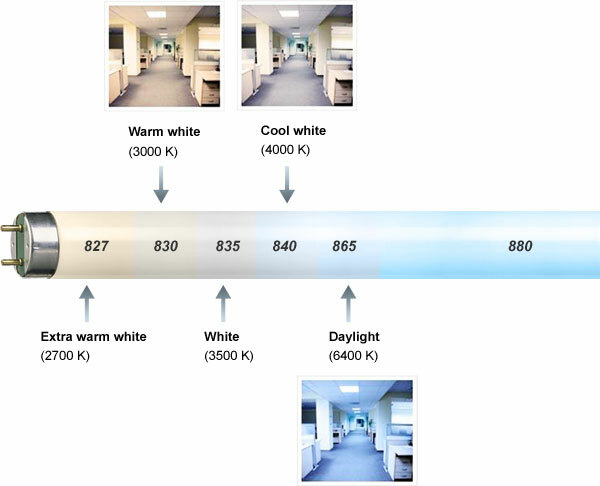 860 Daylight Fluorescent or compact fluorescent lamps simulating natural daylight. 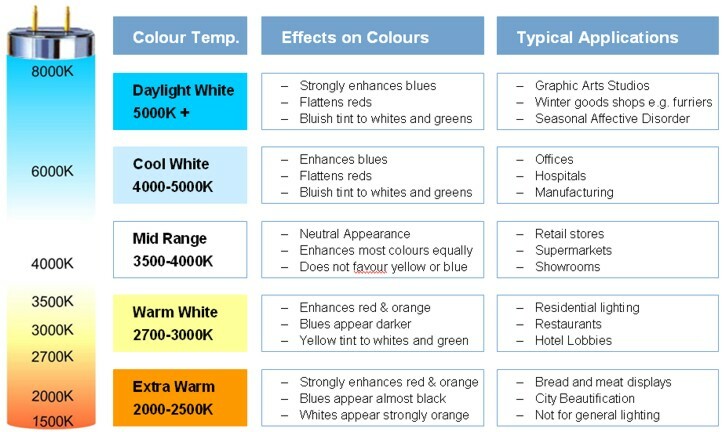 865 Cool Daylight Extremely “white” light used in specialist daylight lamps.